How to lift a car on all 4 jacks in the simplest way there is? Well, nobody can answer that question better than Engineering Explained. Most car owners will, at some point, have no choice but to work on their car by themselves. 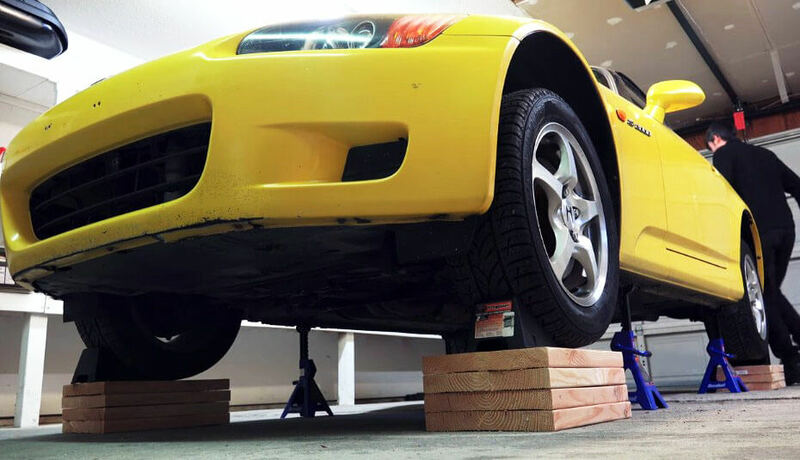 Of course, if you want to do so properly, you need to lift your car on jack stands. But, how to do that the right way? First of all, bear in mind that you really need to know what you’re doing. If you’re not so certain, then you better let a professional deal with the matter because you can genuinely get hurt. After that has been established make sure that the car is on level ground and apply the parking break. Lock the front wheels when lifting the rear and vice versa. Another important point in this procedure is locating the jacking points. After finishing with these basic “details”, the real work starts. Find out how to do it properly in the video below! Odd Looking And Unique Hand Made Motorcycle By Mau Motorcycles! Bosozoku gang – crazy and distinctive culture and lifestyle! The Audi RR Concept Bike By Damien Viczarra – Stylish, Pure & Simplistic! Universal Hovercraft has the perfect ground effect hovercraft for you!